Using beams of light to allow amputees not only to control but also to feel the movement of prosthetic limbs is the ambitious goal of a new $5.6 million Department of Defense initiative. The Defense Advanced Research Projects Agency is tapping the new and rapidly growing field of “neurophotonics” to overcome one the biggest technical obstacles to designing prosthetic arms and legs that work naturally: providing a two-way link with the peripheral nervous system. 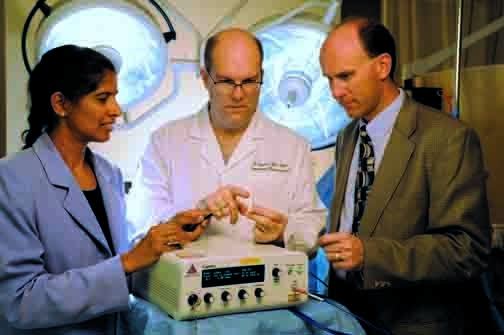 An interdisciplinary Vanderbilt team including biomedical engineers Duco Jansen and Anita Mahadevan-Jansen, and neurosurgeon Peter Konrad will play a critical role in the two-year effort, which is led by a research team at Southern Methodist University and includes collaborators at Case Western Research University, University of Texas, Dallas and the University of North Texas and several industrial partners, including Lockheed Martin, Texas Instruments and National Instruments. Such a system must have two major capabilities: It must sense the activity of motor nerves in order to direct the motion of the prosthetic device and it must stimulate sensory nerves to provide the amputee’s brain with the feedback it needs to control the device’s movements. Five years ago, the Vanderbilt trio helped kick start the neurophotonics field when it demonstrated that a low-power infrared laser beam can stimulate peripheral nerves in a live rat. Since then they have shown that laser stimulation is repeatable, can be done without damaging or overheating the nerve cells and can be focused tightly enough to stimulate individual neurons, a precision that is not possible with electrical stimulation. 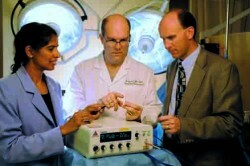 The Vanderbilt team is heading up the nerve stimulation portion of the project. 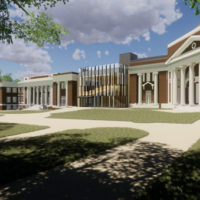 The SMU researchers are heading up the sensing effort, which will be based on an extremely sensitive “whispering gallery” micro-optical sensor technology that they have developed. The system uses micro-beads smaller than a thousandth of a millimeter in diameter that are attached to optical fibers in such a way that some of the light passing through the fiber is siphoned off into the bead where it travels around its circumference. The micro-beads are made of a material with optical properties that change when it is exposed to an electrical field. As a result, the intensity of the laser beam traveling through the optical fiber varies when the bead experiences an electrical field equivalent to that generated by a neuron when it fires. Fortunately, the researchers do not have to work at the level of individual neurons to create a system to control prosthetic limbs. In the peripheral nervous system, nerves are organized into bundles called fascicles. Basic movements such as moving fingers and toes are controlled by different fascicles. The researchers have developed a preliminary design for an implantable “cuff” that would wrap around a nerve. One part of the cuff would contain optical fibers that run parallel to the nerve that are capped with tiny, 45-degree mirrors that would aim laser beams at individual fascicles. “We’re certain we can stimulate the individual fascicles that lie just below the surface of a nerve. Reaching the internal fascicles will be more difficult, but we’ve got some ideas how to do this,” said Jansen. Another part of the cuff would contain the SMU nerve sensors. They would be used for controlling the prosthetic limb. Ideally, they would be implanted in the fascicles containing the motor neurons that were originally used to move the original limb. Instead of relaxing and contracting the missing muscles, however, the sensors would translate the nerve impulses into signals in optical fibers attached to the prosthetic limb that instruct it to produce the same basic movements. 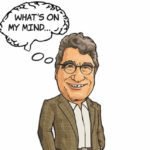 Nerve stimulation, on the other hand, would be focused on sensory nerves that provide the brain with feedback about what the limb is doing and feeling. For example, sensors in the fingers of a prosthetic arm could be hooked into sensory nerves and provide the amputee with a sense of how much pressure he is putting on a raw egg, or any other object he is holding in his hand. 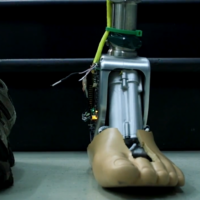 Although control of prosthetic devices is the initial goal of the project, the researchers envision that it will have much broader application when it is developed. One obvious future application would be treating injuries to the spinal cord, like the injury that left actor Christopher Reeve paralyzed. “I can’t see any fundamental obstacles to developing fiber optic systems that can bypass spinal cord lesions and restore function in these patients, although developing such a system will probably take 10 to 15 years,” Jansen said.